Hitoyoshi is situated in the middle of Kyushu and south of Kumamoto. 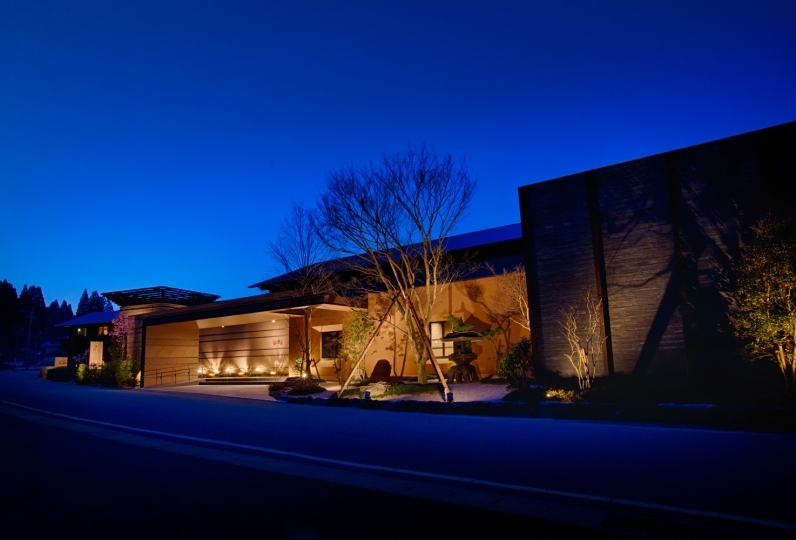 Ryokan Ayunosato is located by the Kuma River, one of the three fastest rivers in Japan. You can see the Hitoyoshi castle ruins across the river and the mountains of the southern Kyushu area in the horizon. Bathing with a view of the Kuma River will certainly be one of the happiest moments of your stay. Potassium bicarbonate salts in the Hitoyoshi hot spring water can make your skin smooth and beautiful. The guest rooms provide a sophisticated ""relaxing space"". Nature is depicted wonderfully, just like a fine art painting, from the windows of the room. Being surrounded by rivers and mountains, makes Hitoytoshi a ""great source of food"" as well. We prepare meals from the season's best ingredients that are grown locally in the richness of nature and we also take great care to cook the stocks carefully in order to serve you a beautiful and delicious dish. For guests who are fond of alcohol, we have a series of world-class "Kuma Shochu". 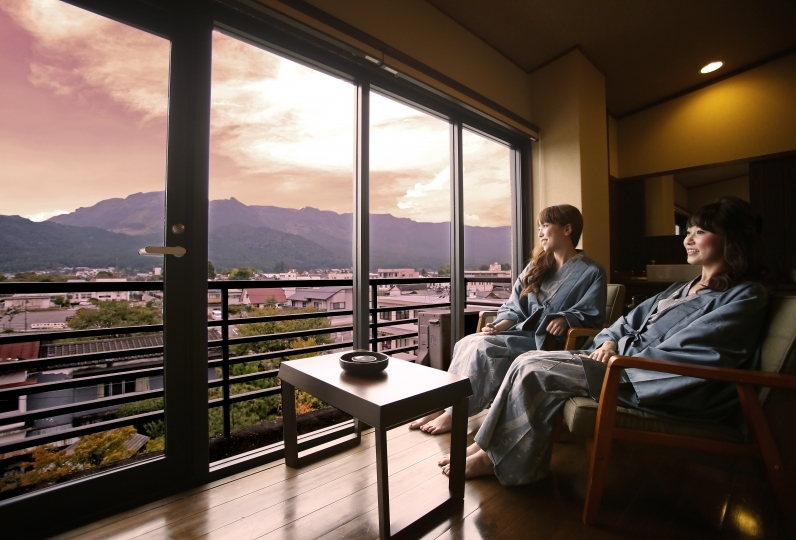 Local sceneries, nature, trains, hot springs, Kuma River rafting (limited seasons only), Kuma Shochu - Enjoy various local attractions and make the most of your stay at Ayunosato. I was satisfied with everything. Saying that. We will use it again by all means. Thank you. 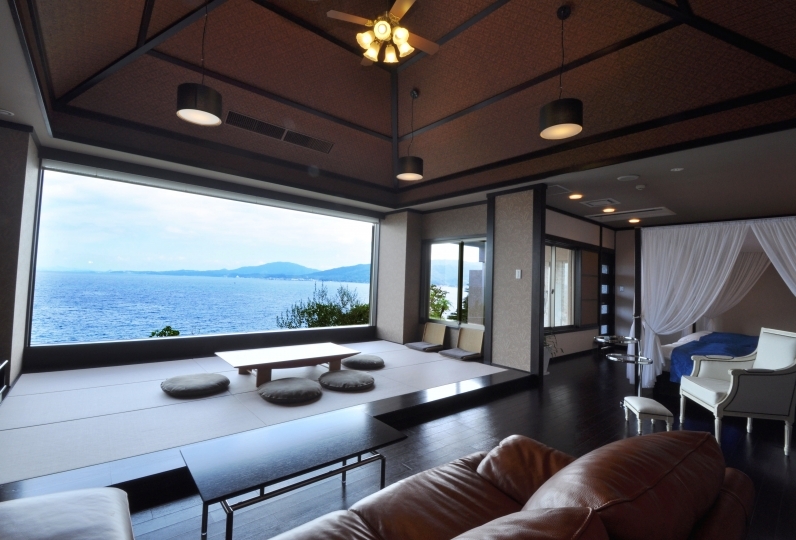 According to the photos on relux, it was a very beautiful lobby / room. Welcome drink was also elaborate, expectation increased for stay. It was the moment I thought it was good to pick Ayu no Sato. Dinner reflected this preference, thank you very much, I was deeply impressed. The beer service of the large public bath was also a wonderful thing with a warm heart. Below, I will tell you because there are a few improvement desired points. 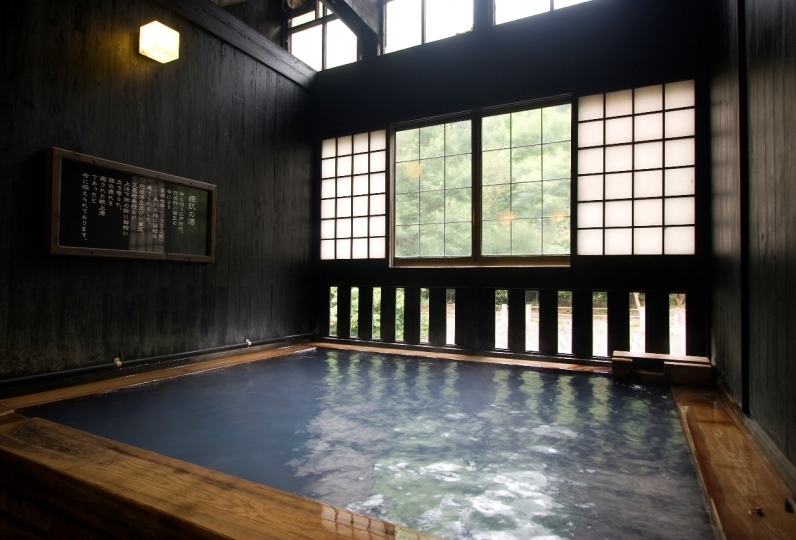 · I also want a big bathhouse beer service for women bath. · There seems to be a seasonal difficult point, but spider webs are scattered on the ceiling of the outdoor bath and feeling of filth is unclean ... The outdoor bath Veranda The dove of the handrail was similar as well. · There was facilities in the entrance slope and in the public bath without water (not used?) Facilities. If water does not come out of what should go out, I think that it will feel ruins at once. · The breakfast was rich in variety, but it was normal as usual. The dinner was wonderful and the gap became big. I think that it is a food for traders, but I want another taste. 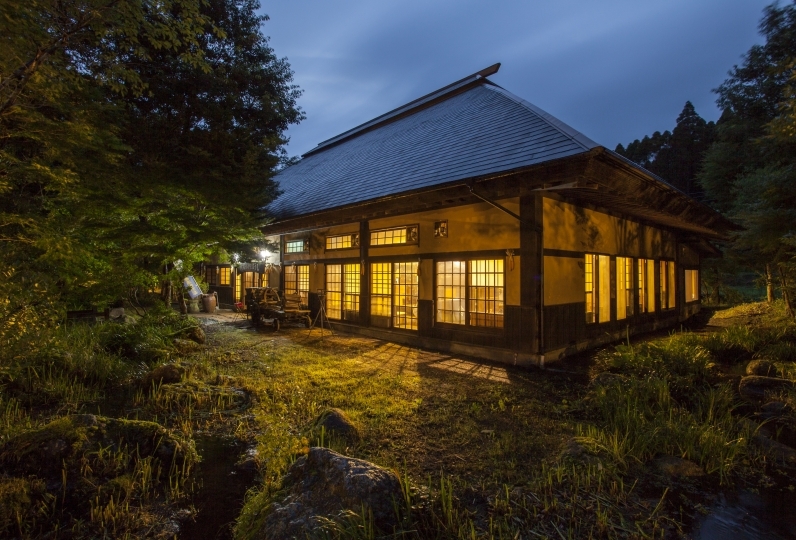 Although I mentioned a lot, I stay in a hot spring inn about 10 nights a year mainly in Kyushu. 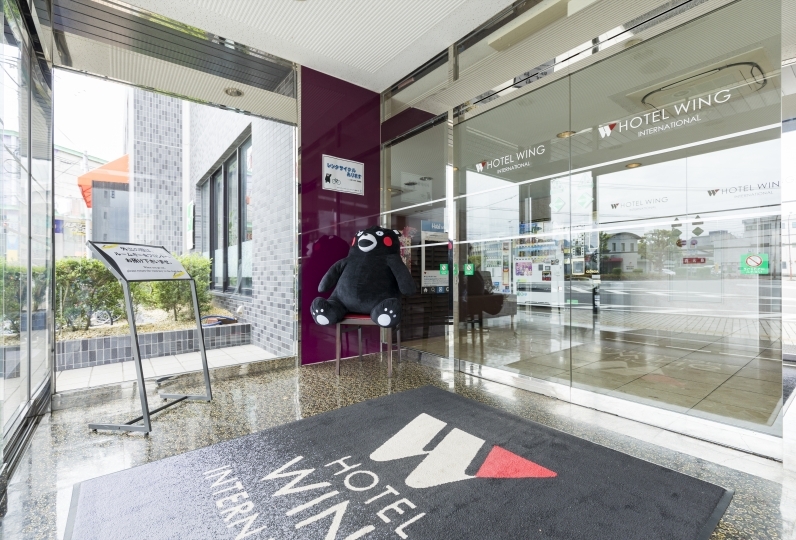 I felt that your hotel is a nice accommodation polite and good overall. I think that I would like to take care of you again, so I hope you improve it. 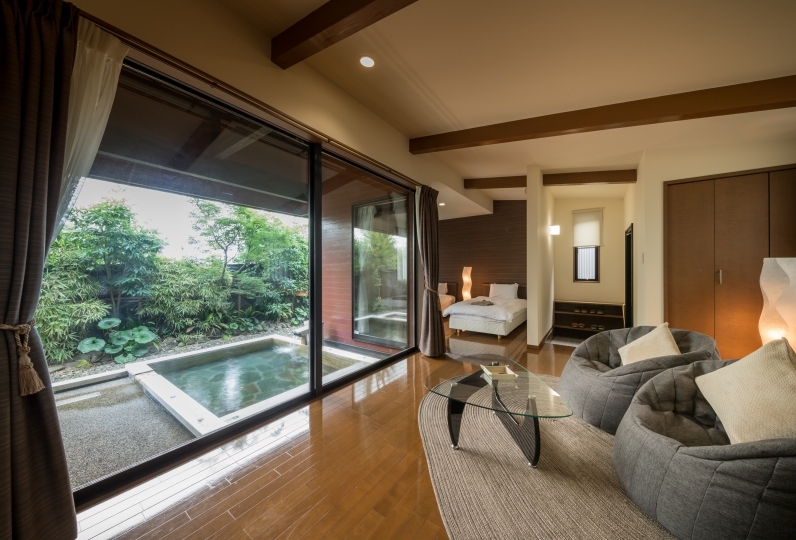 The large bath has a view of the Hitoyoshi castle ruins and the Kuma River. 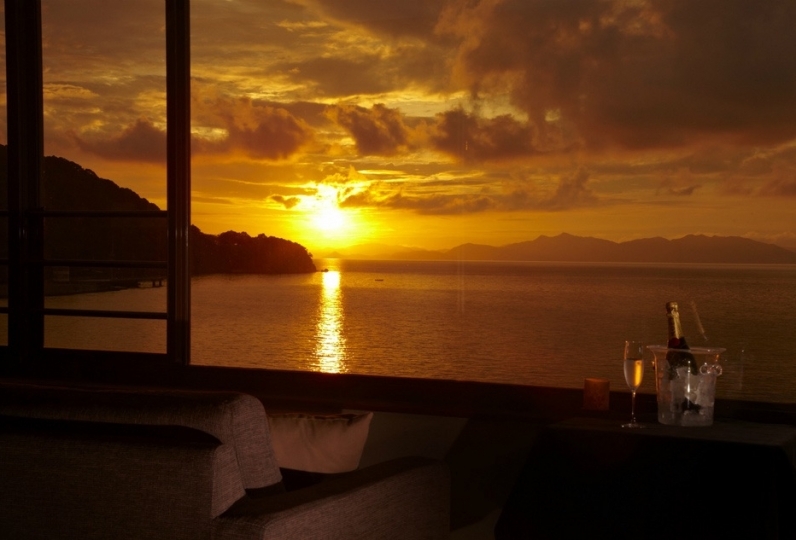 You can enjoy a tasteful atmosphere while soaking in the beauty of the surroundings. We are proud that we have 3 different types of outdoor spas and you can enjoy all of them in one place. The hot spring water contains hydrogen carbonate which makes your skin moisturized and smooth. 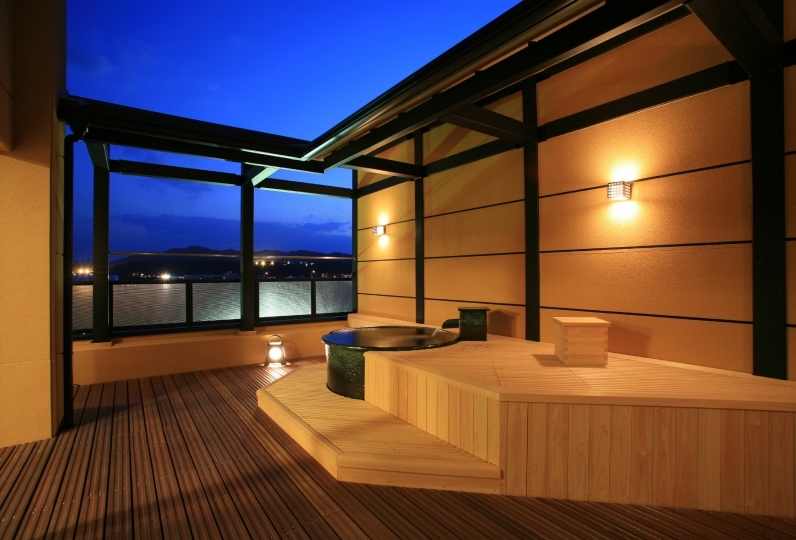 This outdoor spa is the perfect place to enjoy a view of the southern mountains in this region. This outdoor spa has a Rock bath and a cypress bath. 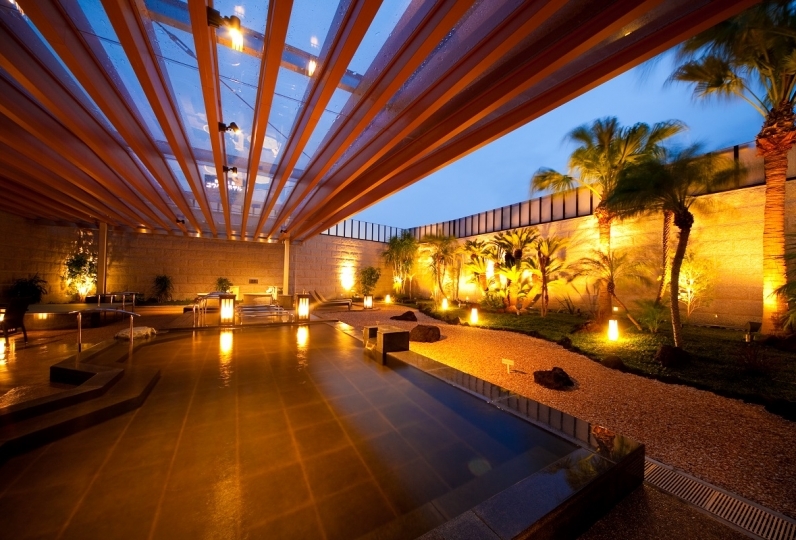 The public bath along with a mountain range, designed with Sukiya-tsukuri style of Japanese architecture, it has an open and spacious atmosphere. 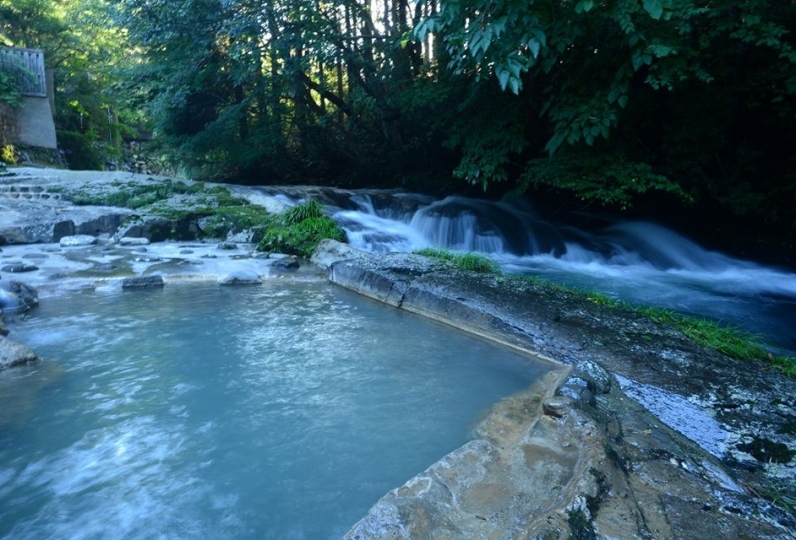 The hot spring water contains hydrogen carbonate which makes your skin moisturized and smooth. ◆B1 "Sazou": Wine cellar of Kuma-shochu and wines. We have over 170 types of Shochu from all the 28 local Shochu distilleries and a total of about 1,100 Shochu bottles. There is a sampling space where you can taste delicious Shochu. There is also a wine cellar that has various liquors from across the world and wines that are popular with local people. All drinks are kept under the optimum conditions and at the right temperature so that flavors always stays at its best. 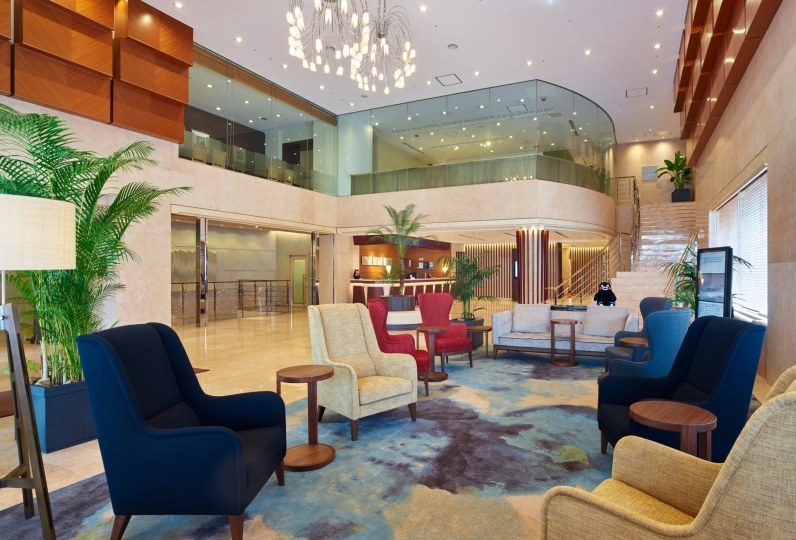 ・Prices does not include the bathing tax (150 yen). Airport - (metro) - Hakata Bus Terminal. There will be a complementary shuttle service from the Hitoyoshi IC bus stop to Ayu no Sato. Please let us know your schedule in advance, or call us upon arrival. From the Hitoyoshi station, walk straight with the station being at your back, turn left at the 3rd traffic light (it's an intersection. You will find ENEOS on your left). ・Walk through a shopping street, and you will see Ayu no Sato on your right. ・Take "Juguritto go" bus, a circular route bus in Hitoyoshi,  get off at Hitoyoshicho  mae or Kokonokamachi, about 7 min walk from the bus stop.